There are different options for restaurant service in Mendocino County, however not all companies offer quality restaurant repair and service. CASCO has a long lasting reputation for providing the finest in the restaurant business. Their unique brand of characteristics make them the best choice for your quality service and repair needs in Mendocino County. With over 40 years in business, CASCO continues to stand the test of time. With the company’s honest dealing practices and commitment to excellence, customers have grown to and continue to trust them for all of their appliance repair needs. Not only do they provide top of the line manufacture parts, but their technicians are factory trained and authorized, so you can be confident in their abilities. 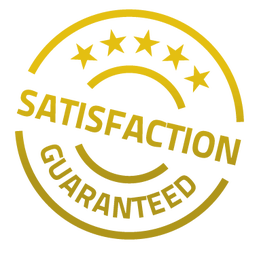 The work is also warranted, so you can be assured that you will receive the best service possible from a knowledgeable technician. For all your quality restaurant repair and service needs 24/7, CASCO is the best choice. Their reputation speaks for itself, as they continue to excel within the industry. If you need quality restaurant service in Mendocino County, give them a call today: (707) 544-5200. You can also stop by the office, located at 3200 Dutton Ave. Suite 313, Santa Rosa, CA 95407, or connect with them on Facebook. Contact them today to see for yourself why CASCO is your best bet for quality restaurant repairs and service.